Program Description: Get a taste of the action courtesy of Tyson! Buy two participating Tyson Any’tizers snacks at Walmart in a single transaction between 6/15 and 8/15. Snap a picture of your receipt and send via email or text to TPG by 8/15. 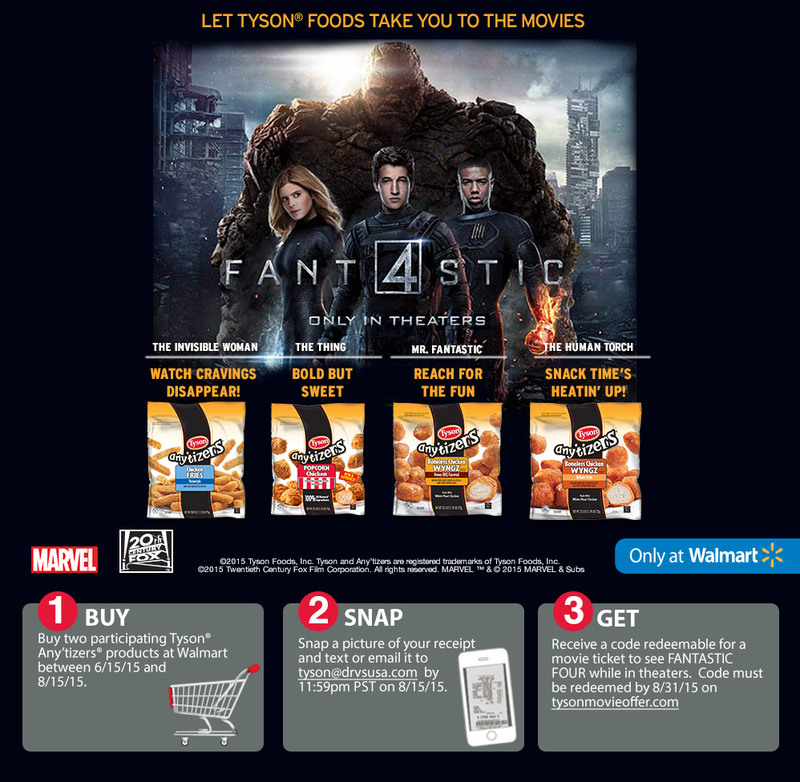 Get an up to $10 e-Movie Cash ticket for Fantastic Four!